High Quality Diecast Aircraft and NASCAR Models. If there's anything else you want to know Contact Us and we'll get back to you. Q. Discount: Would you be prepared to give discount and/or free shipping within NZ for orders above a certain value? A. Yes. When the total of goods purchased is $200 or more (excluding postage), we will ship your order for free to NZ addresses. If you are planning to order multiple items, send us an email at awesomecollectables@gmail.com and we'll see whether we can give you an extra discount. Q. Shipping: What are your freight/shipping/postage & packing charges? A. We have separate postage & packaging (P&P) rates for single items to Auckland, elsewhere in the North Island, & the South Island. 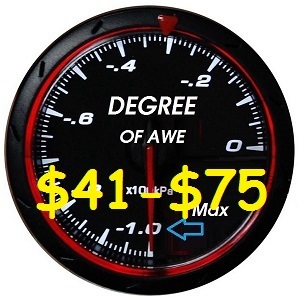 These rates start from $6.00 & will be calculated when you "Check Out" your order. Maximum P&P charge for New Zealand orders is $15.00, and all orders where the value of goods is $200 or over ship for free to New Zealand addresses. P&P includes GST. Parcels will be tracked, with target delivery of 1-3 working days. Q. Shipping: Freight/Shipping/Postage & Packing charges for multiple items? A. The maximum Postage and Packing (P&P) charge for multiple items to anywhere in New Zealand is $15.00 per order (including GST). Note: It may be less than this, depending on your location and the size of the items you order. Orders for goods $200 and over ship for free to New Zealand addresses. Q. Payment: What payment options are available to me? A. You can pay by Visa, Mastercard, or American Express (via PayPal), by your PayPal account, or by Internet Banking. Q. Bank Details: What are your bank account details? A. ASB Manukau, Account Number: 12-3083-0491776-00. Q. Price: Do your prices include Goods and Services Tax (GST)? A. Yes. All our prices include 15% GST. Q. Size: How big are the NASCAR 1/24 models? A. Each NASCAR model is approximately [L x W x H] 220mm x 80mm x 60mm (8.5" x 3.25" x 2.25"). Q. Do you buy second-hand items. A. Not as a general rule, but, sometimes you might have something we are interested in, so it doesn't hurt to ask us. Q. Payment: Do you accept payment by credit card? A. Yes. Payment by Credit Card would be processed via PayPal. Visa, MasterCard, American Express, Discover, Diner's Club, and EnRoute are all accepted.